Maisie is now nine years old and about to start Year 5 at school. She loves art, dancing, swimming and hanging out with Thomas, her dog. She adores all animals and wants to be a vet when she’s older. Maisie’s next check-up is approaching. This will be her first appointment in the Long Term Follow Up clinic for children five years post treatment until adulthood. As the name suggests, they are looking out for any long term side effects of the chemotherapy (over two years of treatment for acute lymphoblastic leukaemia (ALL). Maisie’s doing really well but still complains of weak and painful legs. She’s attending physiotherapy sessions and her biggest wish is to be able to run as fast as her friends. She’ll get there! We had visited the GP several times with virus-like symptoms but more worryingly Maisie became reluctant to weight bear. She was almost walking on her own but suddenly refused to stand or take steps. She was also crying out as if in pain when moving from a lying to sitting position. The GP thought this was probably behavioural, which would pass. One morning, following another virus, Maisie developed a non-blanching rash on her ankles. Immediately the GP suspected meningitis and we were taken to our local hospital by blue light ambulance. Following blood tests, meningitis was ruled out but we were told that our little girl had leukaemia. We were transferred to Great Ormond Street Hospital (GOSH) that evening where treatment was started immediately. The weeks that followed are a blur. 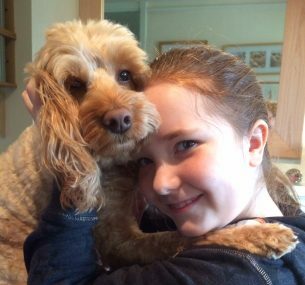 Maisie had intensive chemotherapy and steroid treatment for a month to achieve remission. Luckily treatment was successful and she was started on a plan for the next two years (her MRD results were indeterminate so she was put on Regimen B with two intensive blocks). By December 2010 Maisie was still very unhappy and unsettled. The consultant at GOSH admitted her for investigations. She had a routine abdominal X-ray which showed multiple fractures in her vertebrae. The leukaemia had infiltrated the spine, causing the bones to collapse. Maisie was referred to the orthopaedic team and started on morphine to manage her pain. A spinal brace was fitted and worn daily to provide support and aid healing. At last Maisie was settled and her pain was relieved. The first year of treatment was very difficult. Care was given on an outpatient basis but there were several hospital admissions for infections. 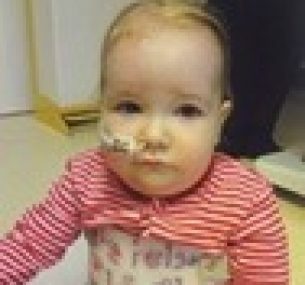 Maisie had a nasogastric tube for feeds and medicines and she lost her hair three times. She missed nursery and playing with her friends and I took leave from work to care for her. It was a very stressful time. Friends and family often commented on our bravery and asked “how do you cope?” Our reply was “you just do… you have to.” On reflection, we were on automatic pilot. 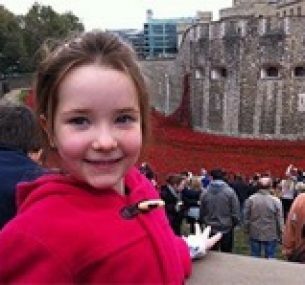 By September 2011, Maisie had started maintenance and treatment was less intense. Life slowly began to return to normal. She attended nursery again and I returned to work. Hospital admissions greatly reduced and we felt able to do normal family activities again. Maisie completed her treatment in January 2013. She still has regular check-ups with the haematology and orthopaedic teams. She’s been well and happy and she started school in September. Academically she easily equals her peers. She has very little memory of her illness or treatment. No one would ever know how poorly she was by looking at her. Physically we can see that she’s less ‘sturdy’ and finds activities like hopping and skipping a challenge but she’s getting there and becoming stronger every day. Nearly two years since finishing treatment and Maisie is doing really well. Her hospital check-ups are going well too, thank goodness. 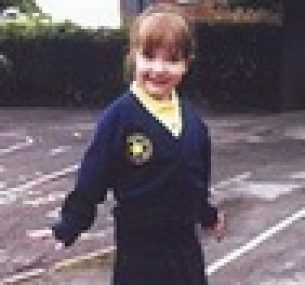 Maisie is now in Year 1 at school. She loves it and has lots of friends. She has very good reports from the teachers and nobody would ever know what she’s been through. She does drama and dance groups after school and has swimming lessons at the weekend. We’re looking forward to Christmas in London and heading to Scotland for New Year. Maisie is now eight years old and in year 4 at school. She’s loving her new teacher, playing with her friends and she enjoys lots of after-school activities like dance, art and swimming. Outside school, she has a passion for animals and loves her pets (dog, hamster and seven fish). She wants to be a vet or a famous artist when she grows up or maybe a pop star. Medically, Maisie continues to do well and her hospital check-ups have been reassuring. Psychologically however, she has struggled a bit recently. 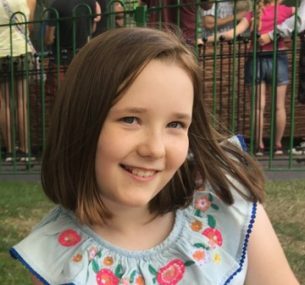 Being so young at diagnosis, we thought she had little memory of her treatment but memories of being poorly have been triggered by events in the past year and she’s found things difficult at times. The hospital has been great again and Maisie has been supported through this. The treatment for ALL is over two years long, so lots of not-so-nice memories for a little girl and hospital follow ups continue into adulthood. As always, the Children with Cancer UK charity has been amazing. Maisie has been invited along to some lovely events this year. Even when treatment is finished, the charity continues to remember and support the children and their families. Having the opportunity to meet with others who have gone through and still going through the childhood cancer experience has been very helpful to us all. Thank you so much to everyone who supports the charity.